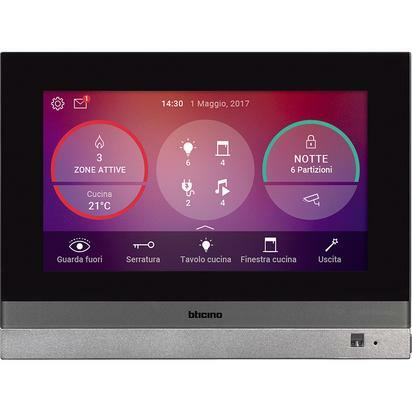 HOMETOUCH - 7" touch screen for managing all MyHOME_Up functions that can be integrated with the video door entry system for use as a connected internal station. 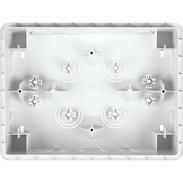 It does not require any configuration for the use of the home automation functions. It allows to view the status of the MyHOME_Up system and to control the integrated functions (lights, automations, scenarios, burglar alarm, temperature management, Nuvo music system, ...). 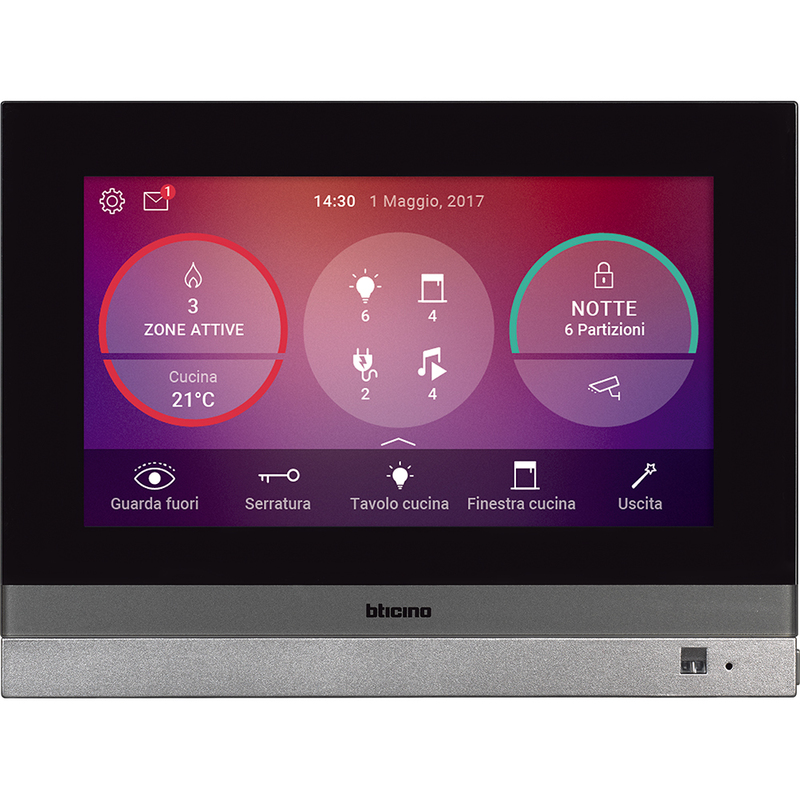 It is also possible to manage the video door entry functions of a BTicino 2-wire system both from the 7 "capacitive Display and from a Smartphone, thanks to the" DOOR ENTRY for HOMETOUCH "application available for Android and iOS. Flush mounting installation with dedicated box item 3487 or on the wall thanks to the metal bracket supplied.